The Jobs ARE Out There For Music Graduates! If you study medicine at university, chances are you’ll become a doctor. For music students, it’s less obvious what job you’ll end up with… but it could be really fulfilling. 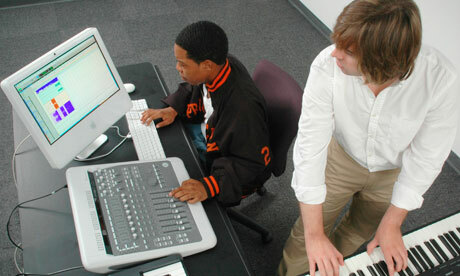 The perception that options are narrow and jobs are few for music graduates needs to change. Less anticipated but no less common is the employment of music graduates in finance and banking, legal and consultancy. James Lister studied music at the University of Nottingham but is now an associate with legal firm Charles Russell. His degree “taught a whole load of things you can’t find elsewhere”, such as public speaking and self-expression. He says that these skills, in addition to the “highly analytical aspects of a music degree”, which enable graduates to read, digest and form an opinion on a huge amount of information, greatly aided his transition into law. The employability of music graduates appears to be in for a further boost. In addition to covering the traditional elements of a music degree (composition, performance, theory, history and so on), new modules that are focused specifically on employability are set to be introduced. “Students don’t want to leave their future to chance anymore,” says Adlington, adding that employability is “part of our core model”. This entry was posted in About Brendan Ball and tagged agents, arts, audio, banking, consultancy, creative, degree, desirable, diversity, editing, employability, employment, engineering, ensembles, experience, finance, in, industries, industry, interaction, jobs, knowledge, label, leadership, legal, management, media, Music, organisational, organising, performing, popular, production, professional, publishing, record, research, skills, students, study, teaching, teamwork, technology, the, vacancies, variety. Bookmark the permalink.